Marcus attened our "Website in a Day" workshop and went on to teach his new skills to 60 of his students, across an eight week period. Melbourne teacher Marcus Newman knew coding was a vital skill for his students to learn but long struggled to get to grips with it himself – and he’s far from the only teacher. Marcus is a secondary and VET Creative and Digital Media Trainer at Northern College of The Arts & Technology. He attended Meeum’s Code a Website in a Day workshop in Melbourne. “There’s a huge lack of coding skills among Australian teachers,” said Marcus. “There’s just never been an explicit drive to have coding taught before like there is now. A new Digital Technologies curriculum is rolling out across Australia. Most states and territories are implementing this new curriculum and are providing their students with exciting learning opportunities. So how are local teachers upskilling to teach the new curriculum? “The onus is on us – we’re asked to prove whether our industry currency is up to scratch, and need to keep our standards up,” said Marcus. “I could understand HTML, but when I took it further into CSS that’s where I lost my mind and got a headache. The breakthrough came for Marcus last year when he attended Code a Website in a Day. It was the face-to-face learning environment that finally helped him get his head around code. “There’s nothing like face-to-face learning, and working in teams solving problems to give you the rewards and insights you need to truly learn something,” Marcus said. Marcus is now capable of teaching students to code, and with the skills he learnt from the one-day Meeum workshop, he successfully delivered Year 10 and VET Creative and Digital Media courses. “I applied your teachings to my Year 10 and VET Creative and Digital Media courses. We had great success. Every student produced a website, and a majority went on to completely personalise them. Of course, we had a few hiccups! Who wouldn’t! It’s another language eh? However, we worked together, tweaked some code and made it work. Some of the students were quoted saying, “I love coding!” So, it’s a thank you from my students and I”. 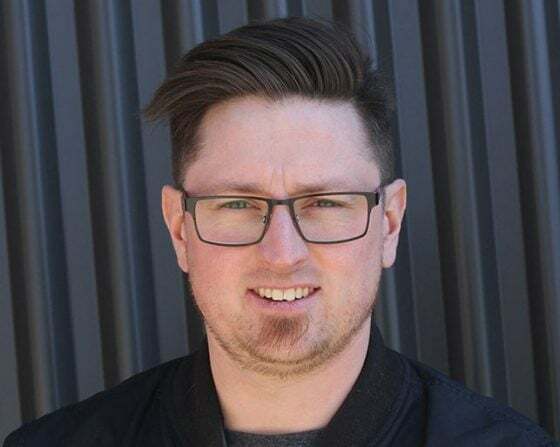 Meeum’s workshops have equipped Marcus and other teachers across Australia with the skills needed to teach HTML and CSS with confidence. Be a teacher like Marcus. Learn to code.